Ahhh. A simple but luscious vegetable dish from Rome. 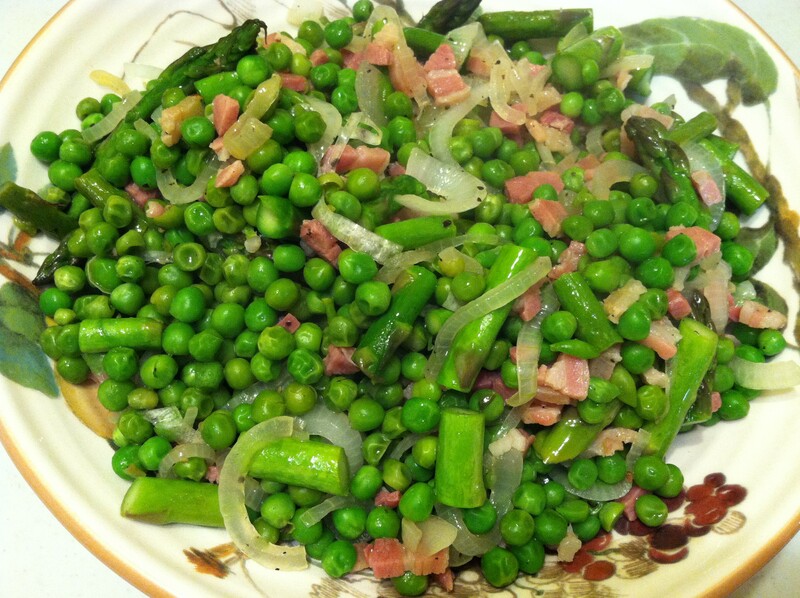 Roman Peas with Asparagus & Pancetta. So easy to make and so satisfying. Slice a medium onion into thin half-moons. Saute in a little olive oil. Add diced pancetta (from about 3 thick slices) and saute till they cook through and onions soften. 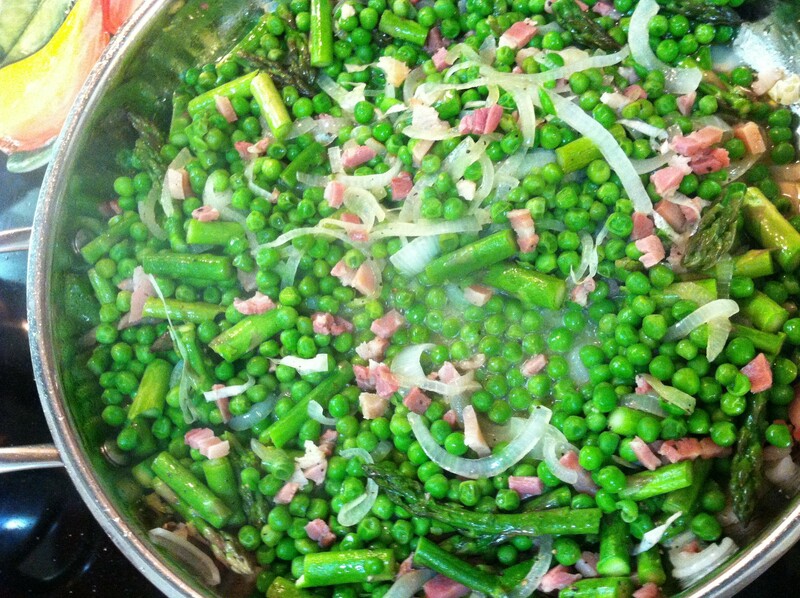 Add asparagus that has been cut into bite-sized pieces. Cook about 3-4 minutes. Add peas, cook till simmering. Add about a 1/4 cup of white wine. Cook till evaporating. Season with salt & pepper.